Welcome to Hotel Corail , Paris ! We kindly welcome you to the Corail Hotel. 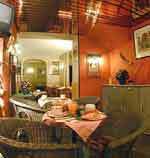 A few steps from Lyon Railway station and only five minutes walk from Bastille Opera, the hotel offers a hearty, friendly setting suitable for the business person or tourist. Rapid links are provided by R.E.R. to Disneyland, La Défense and airports. The hotel's locate situation, invites you for some easily walk : the new parisian walk "la Coulée Verte", the Bastille Yachting Port, the Botanical Garden, Vincennes Woods.